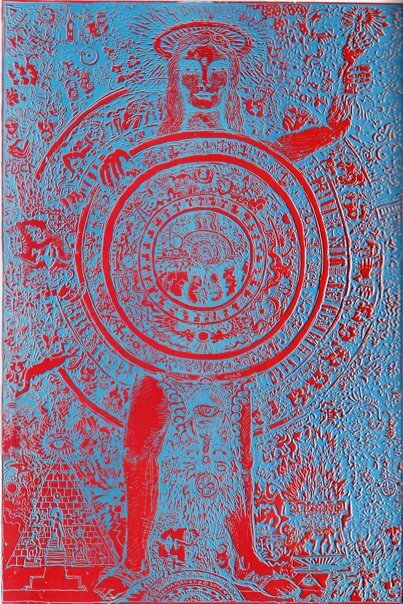 Robert Branaman: Mandala Lady "a back cover from Oracle 9 (1967). its a little funky as i had to scan it several time as its larger than my scanner. Charles Plymell maid some posters of it in different colors. Also see: Chances "R" drawing, by Robert Ronnie Branaman, April 1967 & Monterey Dance Concert poster by Robert Ronnie Branaman, July 1966. Drawing © 1967-2009 Robert Ronnie Branaman, used with permmission, all rights reserved; page © 2009 George Laughead, maintainer, Beat Literature, Open Directory Project. Page posted: 21 November 2009. Hosted at WWW Virtual Library @ www.vlib.us.